The season to stand under the mistletoe is almost here, so it is fitting that Fifth International Mistletoe Symposium has just been held in Germany to review the latest findings in mistletoe therapy for cancer. Despite past attempts of the cancer industry to discredit this valuable natural medicine, so many positive reports are now emerging that today one popular conventional medicine website admits that “recent systematic reviews point to the accumulating evidence in support of mistletoe.” Unfortunately, this news is slow to reach many oncologists-so it is important for patients to get informed and inquire about mistletoe as an option in their treatment. Almost two years ago, a woman in Great Britain was diagnosed with non-Hodgkin's lymphoma and took mistletoe as a first-line therapy before chemo: the therapy worked and the cancer went into remission. 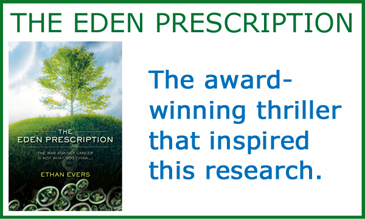 Last year, a patient with metastatic pancreatic adenocarcinoma (spreading into the regional lymph nodes and liver) started taking mistletoe extract along with palliative chemotherapy after her surgery. She showed sustained partial remission after 37 weeks of treatment, at which time the chemotherapy was stopped but the mistletoe continued. Surprisingly, 10 months later, she still showed no evidence of tumor progression. Such a result is exceedingly rare for this type of cancer, and this case was reported in the peer-reviewed German cancer journal Onkologie. Then, just last month, a naturopathic practitioner in Switzerland reported on his own experience in which six patients with sarcoma experienced remission by using mistletoe extracts. Despite these very encouraging results, conventional medicine has been slow to adopt mistletoe due to mixed results of some larger trials. Recently it has become clear why these trials were inconsistent: they used different mistletoe extracts, and apparently not all extracts are created equal. Mistletoe extracts have been shown in multiple studies to dramatically stimulate the immune system and be directly cytotoxic to a wide range of cancer cells (lymphoblastic leukemia in particular). However the mistletoe plant is itself quite poisonous (more than 2 berries or three leaves can produce toxic effects), so an extraction process is required to separate out the medicinal phytochemicals from the toxic ones. It turns out that mistletoe’s key active phytochemicals are lectins and viscotoxins (among others), and these are not present in sufficient quantities in all available mistletoe products. However, one particular extract made by a Swiss company has emerged as highly reliable due to numerous, consistently positive study results. It is a whole plant extract produced from fresh leafy shoots and fruits of the summer and winter harvest, and is rich in the key phytochemicals. 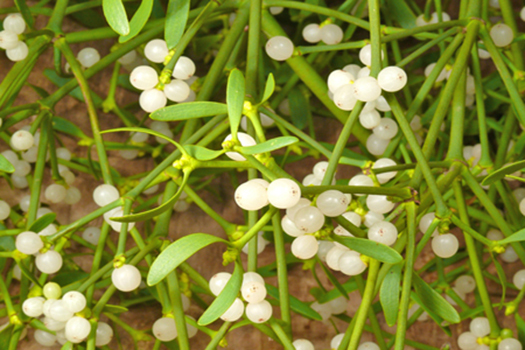 One large German study found that cancer patients benefitted from this mistletoe extract and extended their survival by roughly 40% compared to non-extract users (4.23 versus 3.05 years survival). A more recent meta-study (covering 49 trials) confirmed a survival benefit as well as a near universal improvement in quality-of-life. Major Breakthrough Ahead for Mistletoe Therapy? As a result of this accumulating evidence, two of the largest-ever cohort studies on mistletoe have been initiated in Europe (where its use is common). Both are now recruiting in multiple centres across Germany and Austria. One study will test mistletoe extract on pancreatic cancer in 400 patients, the other will test it on colorectal cancer in 800 patients. While both trials will use mistletoe in addition to conventional cancer therapies, they may be seen as a first step in proving mistletoe as a first-line therapy. Until then, the evidence to date on mistletoe makes a convincing case for its consideration as part of any cancer therapy.